Tomorrow is my birthday and Jules has taken me to one of my favorite places, The Monterey Bay Aquarium. It is a bit chilly here today and thus I wanted to be warm as well as ready for some walking and standing. This top is one of my all time favorite pieces. It is so versatile. It is rather light weight, but with a nice tank underneath it is quite warm. And I love the asymmetrical cut with the ruching on the side. It is just long enough to provide for some good front coverage without making me look blocky! 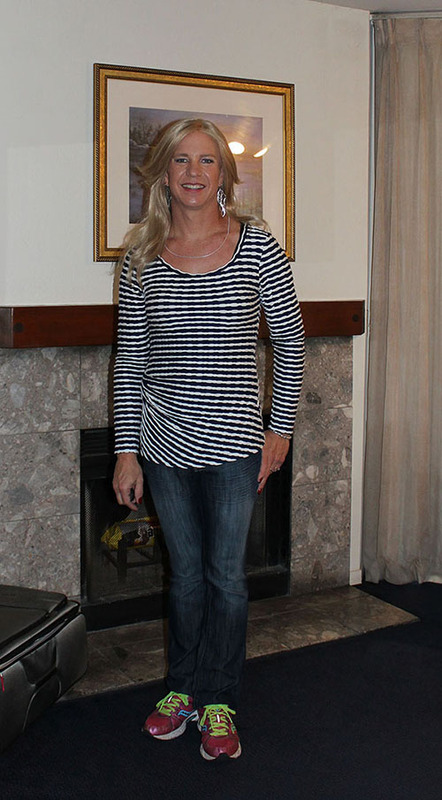 And of course I love my Guess jeans and Saucony hot pink shoes! They are both so super comfy. I also paired them with a pair of new socks that I just purchased last night down on Cannery Row. They are a pair of some of the best socks I have ever worn! Seriously, they are that cool. They are made of bamboo and best of all, they have no seems! Or are at least flat seemed. They are the MeMoi Trouser sock. I am so serious about them being super comfy. I have been on a bit of a sock hunt lately and these things rock! 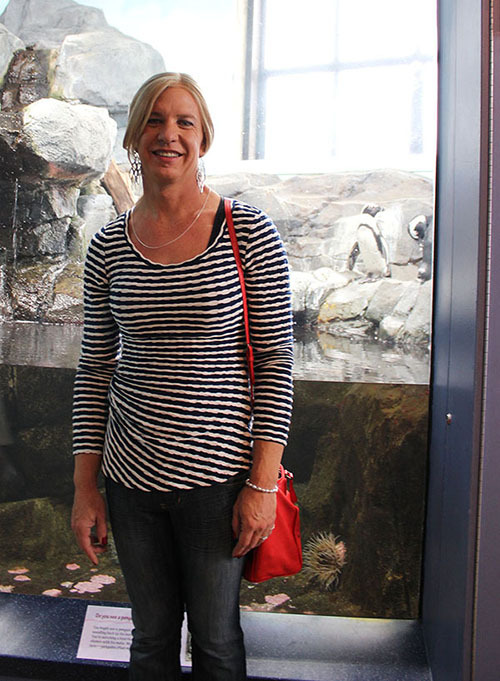 Jules and I fully enjoyed our day at the aquarium. 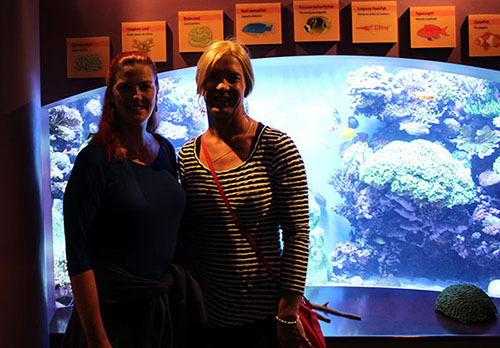 We so love looking at all the awesome fish and sea life. We especially love checking out the jellyfish; which I am sure that I will share some photoes with you all at some point. One of my all time favorite animals are penguins, so of course Jules had to snap a shot of us together. So cute! Tonight we are off to the Chart House for dinner, which apparently is supposed to be pretty yummy! Lets hope so for the prices! Happy belated birthday to you! Hopefully it has been cooling off a bit down where you are at, as I have been enjoying my weather lately. 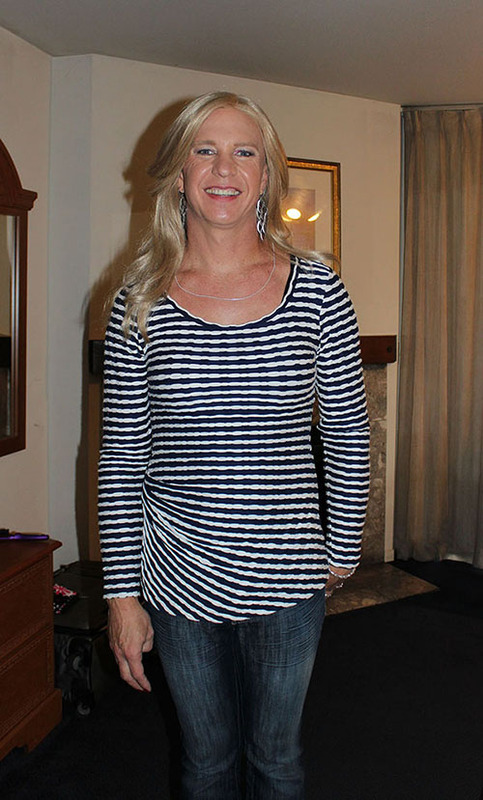 I especially enjoyed it out in Monterey!